One of the most impressive and popular historical sites in southwest Florida, the Edison and Ford Winter Estates are an ensemble of historic buildings and gardens, along with a museum and research laboratory, spanning around 15,000 square foot in total. With its balmy weather, lush tropical foliage and serene natural beauty, Fort Myers attracted two of the most prominent figures in US history who established their winter homes on adjacent sites beside the Caloosahatchee River. Nowadays, the site is open to the public daily and attracts a quarter of a million tourists every year, offering visitors of all ages an unmissable chance to step back into tropical “old Florida”. Here’s the lowdown on what to expect from a visit. Henry Ford and Thomas Edison were two of America’s most influential individuals in science and business, known for their ingenious inventions, most notably automobiles (Ford) and the incandescent lamp (Edison). Edison first came to Fort Myers in 1885 and immediately made the decision to purchase a tract of land where he would soon construct two homes to spend the winter season each year. In 1916, he was joined by Ford, a personal friend, who bought an adjacent plot and constructed his own winter home nearby. Over the next couple of decades, up until Edison’s death in 1931, the two neighbours spent time travelling, inventing and doing business together, leaving a lasting legacy on the small town of Fort Myers. Edison, in particular, spent a great deal of time inventing things (there are well over 1,000 patents to his name), as well as collecting plant species from all over the globe. All this is reflected in the estate’s spectacular gardens, intriguing laboratory and fascinating museum exhibits detailing the two men’s wide-ranging exploits and ground-breaking achievements. 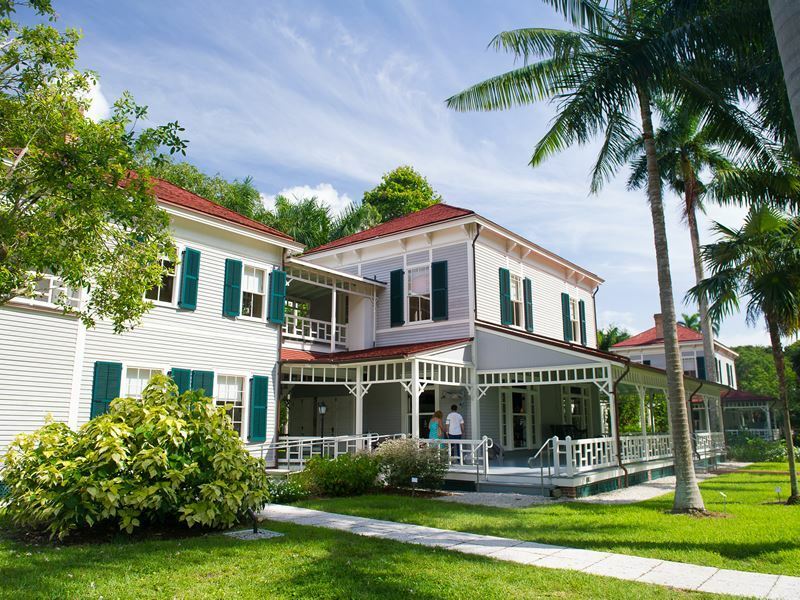 In 1947, the estate was donated to the City of Fort Myers by Edison’s late wife and has since come under the protection of a non-profit organisation that has done a remarkable job of preserving and renovating the buildings. Strolling around the site provides a wonderfully authentic insight into this period in Florida’s history and you’ll find that many of the historical artefacts have been left as they were found in their original state. In fact, you could almost be forgiven for thinking that Edison and Ford might enter the scene at any moment! The estate consists of nine carefully preserved buildings, each adorned with gracious architectural features, period furniture and myriad historical pieces that instantly transport you to a by-gone era. Although visitors aren’t permitted to wander around the homes themselves, spacious open doorways allow you have a good peek inside each of the buildings. The centrepiece of the estate is Edison’s “Seminole Lodge”, his principle living quarters featuring a kitchen, dining room, set of bedroom suites, library and the inventor’s Den. 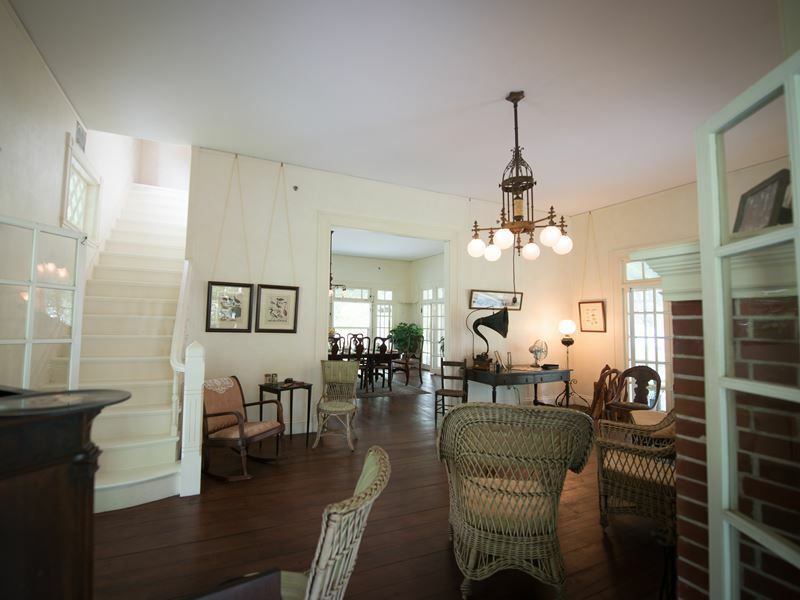 Additional properties belonging to Edison include the newly restored Guest House and Caretaker’s House, as well as an ahead of its time pool complex and a pier on the river bank that was used to deliver materials for construction. Ford’s property is a craftsman-style bungalow dubbed “The Mangoes”. 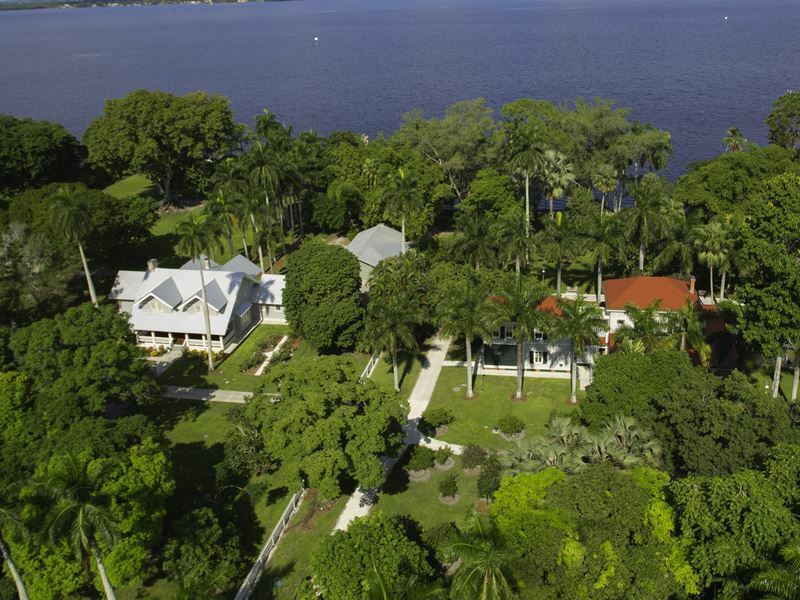 The house is more modest than Edison’s, but features wonderful lush grounds brimming with citrus trees, as well as boasting a spectacular position overlooking the majestic Caloosahatchee River. Edison was a keen botanist and the potential for plant growth offered on Florida’s Gulf Coast was an important factor attracting him to the area. His gardens included more than one thousand varieties of plant species obtained from across six continents. He accumulated many of these to use as materials in his industrial experiments and product manufacturing. As a result, some of the plants are rather strange, including imported African Sausage Trees and a huge 400 foot banyan tree, one of the largest of its kind in the US. Most notably, Edison carbonised bamboo fibres to make light bulb filaments and also discovered that goldenrod could be used to manufacture rubber. Today, the property’s expansive grounds are one of the area’s biggest tourist draws. The botanical gardens span over 20 acres, brimming with over 1,000 plants, ranging from traditional flora such as roses, bromeliads and orchids, to many of the original varieties introduced by Edison. You’ll find stately royal palms, rare tropical fruit trees, eclectic vegetable plots, fragrant eucalyptus, prehistoric cycad plants and plenty more. Be sure to stop by the huge Ficus trees that were planted by Edison and Ford in their bid to discover a viable source of rubber that could be grown locally. Also not to be missed is the award-winning Moonlight Garden, originally designed by renowned landscape architect Ellen Biddle Shipman in 1929 and recently restored to its full historic grandeur. The estate’s museum reflects the ingenuity and hard work of Ford and Edison and does a fantastic job of bringing their extraordinary achievements to life. Visitors can immerse themselves in an impressive collection of artefacts, archives, photographs, video documentaries and special exhibit galleries. The museum also emphasises educational and cultural components, with a performance stage hosting regular science shows and a dedicated area for children to learn more about the period. Definite highlights of the museum include the chance to view some of Edison’s most famous inventions, including the light bulb, telegraph, telephone and x-ray machine, along with many of his lesser known patents. Also be sure not to miss the exhibit on Ford’s classic cars, which includes the original Model T. The two friends were also avid travellers and exhibits feature plenty of photos and memorabilia chronicling the time they spent driving and camping across America and how these trips often fuelled some of their most inspirational work. One of the most fascinating and unusual parts of the property is Edison’s 1920’s botanical research laboratory, where he and his staff worked tirelessly on thousands of remarkable projects and patents. 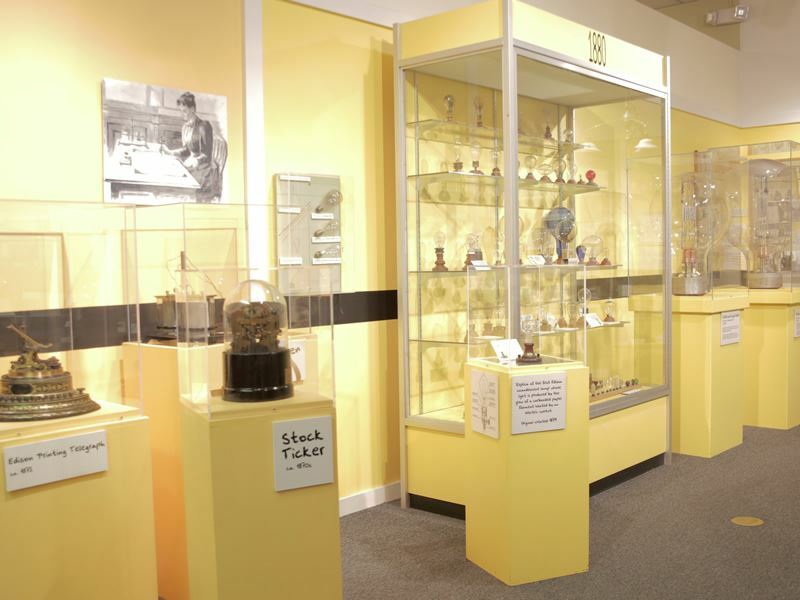 The lab has been more or less kept in its original state, complete with many of Edison’s tools, test tubes, gadgets and gizmos, and offers an intriguing glimpse into his work and the world of invention at large. The primary purpose of the laboratory was to develop a domestic source of rubber for car manufacturing, although Edison later progressed to work on some of his most famous inventions in Fort Myers as well. In fact, some of his first light bulbs are still kept burning in the lab today. 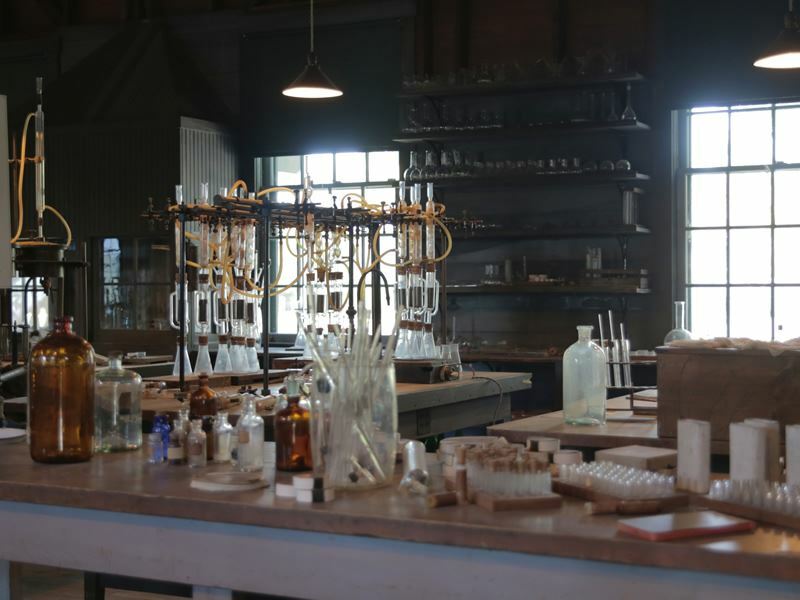 If you fancy gaining a deeper insight, exciting 60-minute tours will introduce you to the inner workings of Edison’s lab, now designated a National Historic Chemical Landmark. Admission: The estate is open seven days a week from 9:00 am - 5:30 pm. Admission covers the entire array of historic homes, whilst separate tickets are required for the museum and laboratory and for the botanical gardens. 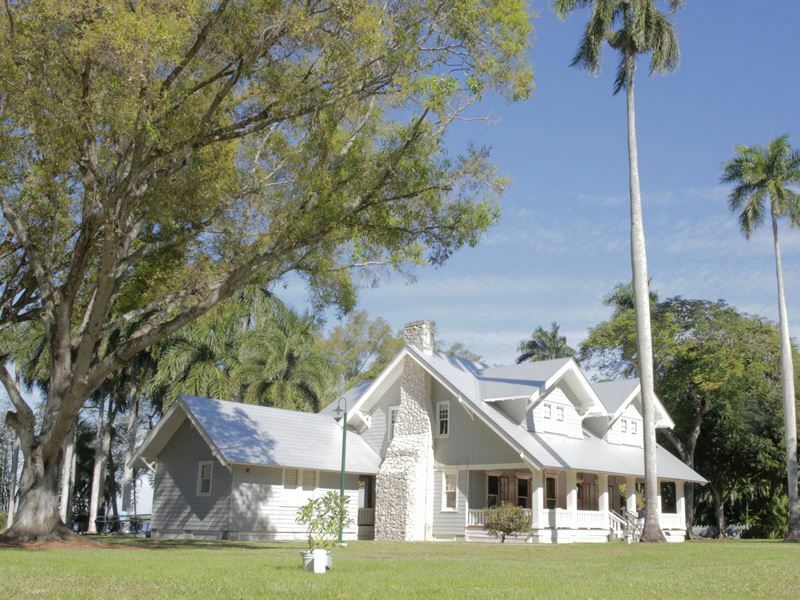 Tours: The Edison and Ford Winter Estate offers an outstanding variety of tours and for a few dollars extra it’s definitely worth making the most of the knowledgeable guides. If you prefer to explore at your own pace, self-guided audio tours are also available. Facilities: Be sure to stop by the Museum and Garden gift stores to pick up a souvenir of your visit. The Banyan café provides the perfect spot to relax under the tree canopy with a choice of refreshing drinks and tempting snacks, and there are also picnic benches scattered around the grounds. For something extra special, head over to the Coconut Grove after your visit to enjoy cocktails and a breath-taking sunset on a tropical lawn overlooking the Caloosahatchee River. Annual events: The size and beauty of the property makes it the perfect venue for an array of exciting seasonal events. Weddings, corporate functions, car exhibits, garden shows and plenty other speciality programs are held regularly throughout the year. Particularly worthwhile is “Holiday Nights” (rated one of the nation’s top 10 holiday events), held every December, with the buildings, lab and museum staying open late and visitors being treated to a spectacular display of glistening lights and traditional trimmings along with live music and refreshments.